Have ever dreamt growing your food, but don’t have space? 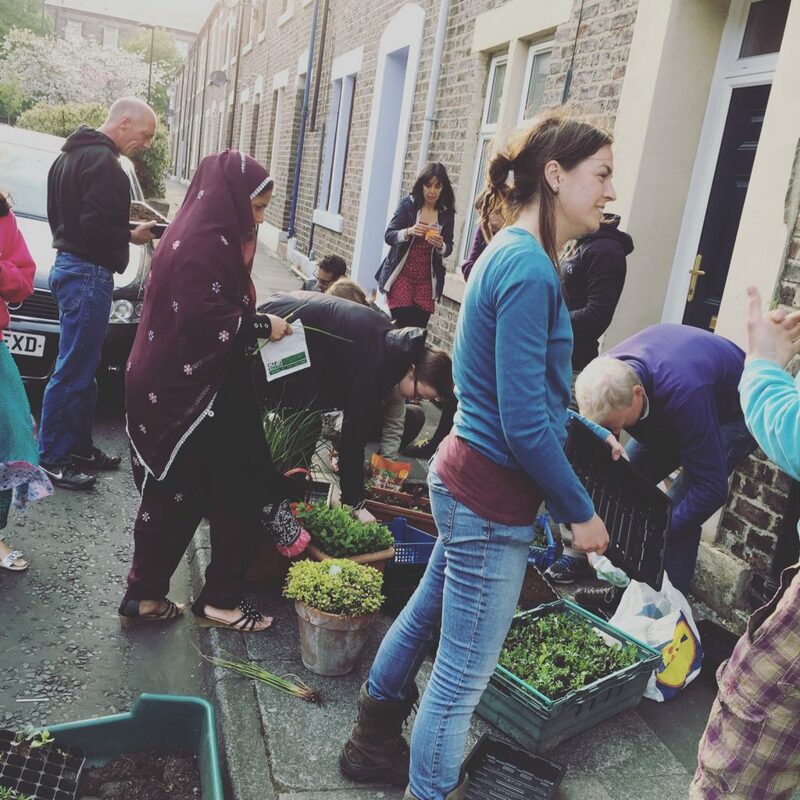 Since 2014 Greening Wingrove has run street sessions in partnership with Mark Risdill-Smith, the founder of ‘Vertical Veg’, a way of growing in small spaces. Different activities take place during sessions – learning about growing techniques, tips on how to use plants, recipes and more. In less than three years the vertical veg activity has become a success, with 192 Wingrove residents benefiting from the project. They can now have salad, tomatoes or other vegetables grown in their own balconies, street or backyard. Not only does growing your own food save money but as Mark notes, it also lets you enjoy fresher flavour and higher nutrient levels, in food picked minutes before eating it. At a recent session, almost a dozen people learned how to grow mushrooms at home, without soil. We heard that things such as straw or waste cardboard or even old clothes are ideal for growing mushrooms on. Not only that, growing them is easy, cheap and doesn’t take much effort. Benni, a local resident, has been attending Vertical Veg Street sessions for almost two years and thinks it is always good to learn new things. Not only that, but food you pick yourself is tastier than from a shop, she says. 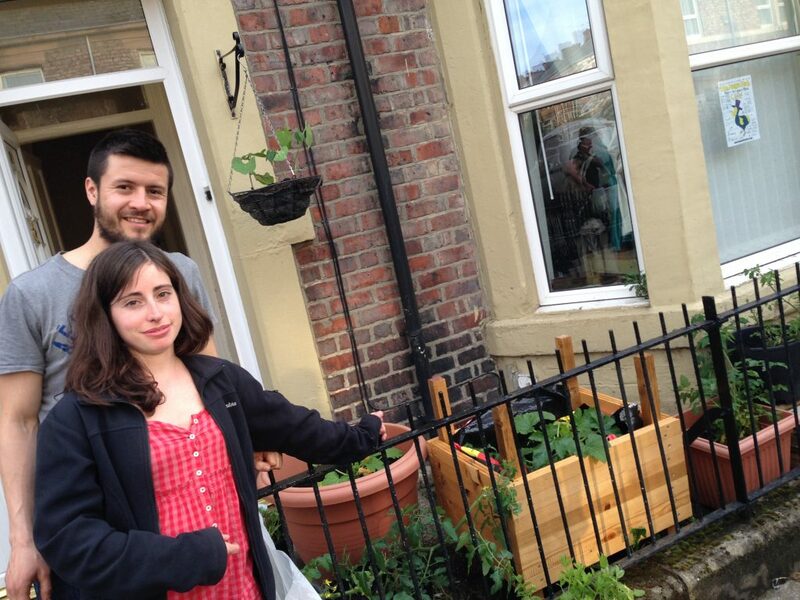 Pat, from Stanhope Street, has been going to Vertical Veg Street events since last year and has learned how to grow herbs, tomatoes, beans and other new things. She enjoys the friendly atmosphere, getting to know neighbours and the sense of community the events create. At the end of sessions, there’s often something for participants to take home and on this occasion everyone went away with a bag of their own mushroom culture. Why not come along to along to one of the next vertical veg sessions to learn how to grow your own food successfully and productively in containers? Come and join a special showing that will keep you inspired during the dim months! Fancy bringing some snacks to share? We’ll do the popcorn! Learn how to grow blueberries, blackberries and raspberries in containers at home. Plant your own to take home.